Hang loose! 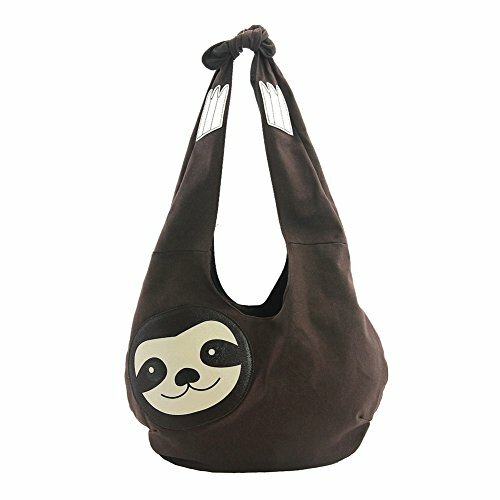 Made of brown canvas, this hobo bag is made to look like a friendly sloth is hanging from your shoulder! Open up this adorable purse to reveal a fully lined interior and 2 open side pockets. This bag measures 19 inches wide by 11 inches high with a 1.5 inch depth. The adjustable strap measures 19 inches when fully extended. Cruelty free.